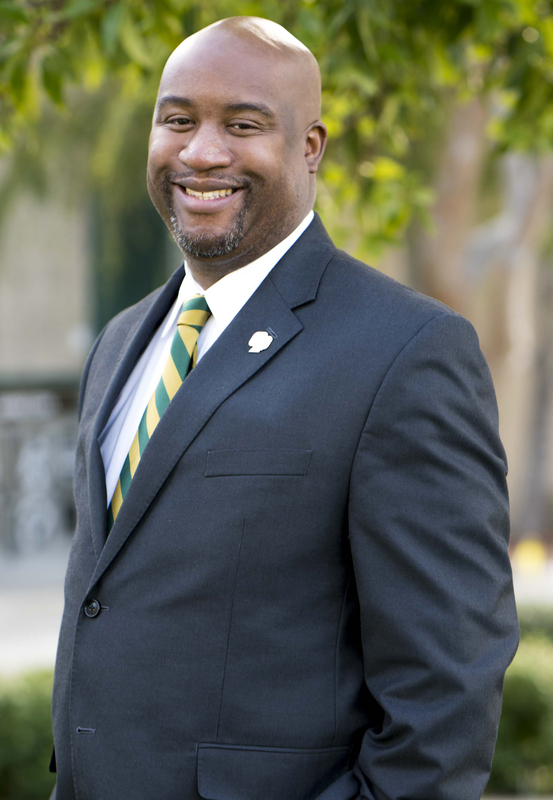 Dr. Humphrey joined Cal Poly in December 2012 as Vice President for Student Affairs (VPSA). He leads one of the largest divisions on campus by delivering high-impact programs and services that advance student learning, development and success. This senior executive role is responsible for securing necessary funding, staffing, facilities and planning in order to successfully operate a division with more than 30 departments and 500 staff. The VPSA is an officer of the university and responsible for the care and wellbeing for more than 20,000 students, 42,000 parents and supporters, and 185,000 alumni. The VPSA brings a strong sense of leadership, strategic planning and fiscal viability to the division and university. He leads a senior executive team to develop and implement year-round Student Affairs programming, services, and events that, research shows, will directly impact the progression, retention, and graduation rates of students. He is part of the university leadership that advocates to our community, policy makers, and Chancellor’s Office for all student engagement and campus-wide programming that occurs outside of the classroom at Cal Poly. Prior to joining Cal Poly, Dr. Humphrey was the assistant vice president and dean of students at the University of Arizona. He was also the associate dean of students, director of orientation and served as the assistant professor of practice and coordinator of the master’s program in higher education at the university’s Center for the Study of Higher Education. Dr. Humphrey has served the higher education community as President of ACPA-College Student Educators International from 2012-2013. In his role as ACPA President, he has consulted on dozens of campuses and presented workshops on student affairs throughout the United States, Canada, China and the Caribbean. Dr. Humphrey obtained his bachelor’s degree from the College of William and Mary, master’s degree from James Madison University and doctorate from the University of Arizona. He lives in San Luis Obispo with his husband, Brett, and two children, Isaiah and Robert. Dr. Kathleen McMahon joined Cal Poly in early 2016 as the Assistant Vice President for Student Affairs and Dean of Students. In 2019, she was promoted to her current position as Senior Associate Vice President for the division, while retaining her responsibilities as Dean of Students. McMahon is a 25-year veteran of higher education teaching and administration and assumes responsibility and management of all departments within the Dean of Students Office, which include the Center for Leadership and Service, CrossCultural Centers, Center for Service In Action, Clubs and Club Sports, Commencement, Parent and Family Programs, Student Rights and Responsibilities, Fraternity and Sorority Life, and the Safer program (which focuses on sexual assault prevention).She also serves the university as the point of contact for all crisis intervention with students and represents the university at select governance meetings, on campus and in the community. Finally, McMahon serves as the division’s representative on the Student Fee Allocation Advisory Committee and oversees NCAA compliance for the university. McMahon’s career has included a wide range of administrative and academic experience. Most recently she was the Associate Vice President for Student Life and Title IX Coordinator for Roger Williams University in Bristol, Rhode Island. She has taught in higher education, written several published articles and given presentations within her field of expertise. McMahon earned a bachelor’s degree from the University of New Hampshire and a master’s degree from Boston College in clinical social work, where she also completed coursework in human development and education. She earned a doctoral degree in educational leadership from UCLA, where she also served as associate dean of students. Her doctoral research focused on leadership development among female college students. McMahon lives on the Central Coast with her husband, Thom and two children, Grayson and Bayley. Dr. Jo Campbell is the university’s Associate Vice President for Student Affairs and Executive Director of University Housing. She has responsibility for and leadership of University Housing, which includes residential life and education, facilities maintenance, custodial, and housing administration. As a division leader, Dr. Campbell will also develop new residential facilities, including the programming of the Student Housing South project (1,475 first-year student beds) scheduled to open in fall 2018, as well as additional residential opportunities. Cal Poly currently houses approximately 40 percent of its student body and seeks to house up to 65 percent in the future. Dr. Campbell brings over 35 years of higher education leadership, inclusive practices and administration to Cal Poly. She was formerly a director of residential life at the University of Toledo, Ohio and Senior Associate Director of Housing at the University of Illinois at Chicago. She has served on dozens of committees and advisory boards to improve the campus climate related to academics, crisis and conduct, student enrollment, equity and inclusion, and drug and alcohol abuse prevention. Notably, she served on ACPA-College Student Educators International’s Executive Council as chair of the lesbian, gay, bisexual, and transgender awareness committee, and she chaired the committee on gay, lesbian and bisexual issues for the Association of College and University Housing Officers-International. 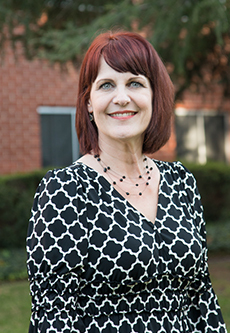 Dr. Campbell earned a bachelor’s degree in psychology and a master’s degree in student personnel services from the University of South Carolina, Columbia, and a certificate of business administration with a strategic planning focus from the University of Illinois at Chicago. In 2015, she earned a doctorate in higher education administration from Bowling Green State University. Her doctoral research was on the behaviors, attitudes, skills and knowledge of senior student affairs professionals and their perceptions of leadership success. She lives in San Luis Obispo with her wife Ellen Broido. 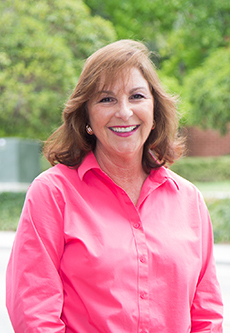 Debi Hill joined Cal Poly in July 2015 as the Director for the Disability Resource Center and Testing Services. In that position, she was responsible for advocating and administering resources that provide equal access for all students, faculty, staff and campus guests. She worked with staff to promote inclusive design, provided guidance on reasonable accommodations, and continues to assess the effectiveness of the campus experience. In winter 2019, she was promoted to Associate Vice President for Student Affairs. In this capacity, AVP Hill oversees the Disability Resource Center and Testing Services, Student Academic Services, Career Services and New Student and Transition Programs. Debi obtained a Bachelor’s degree in Management and Organizational Development and a Master’s degree in Education with a specialization in School Psychology from Fresno Pacific University. She holds Administrative and Pupil Personnel Services credentials and has worked extensively in the educational setting. Most recently, she was the Administrator for the San Luis Obispo County Office of Education in Alternative Education. In this position, she was responsible for managing more than 50 classified staff and faculty members and programs in the county’s Community School sites, Juvenile Court School, and Independent Study programs. Debi was also a psychologist for the San Luis Obispo County Office of Education for several years and responsible for supporting at-risk and special needs students attending K-12 public schools. Dr. Jamie Patton joined Cal Poly in July of 2017 and serves as the Assistant Vice President for Student Affairs, Diversity and Inclusion. He is responsible for developing, implementing and managing new programs and initiatives that advance diversity and inclusion at Cal Poly. As a division-wide leader and diversity officer, he provides direction and consultation for services and policies to ensure inclusive practices across all Student Affairs departments. In addition, he helps provide campus-wide support for diversity and inclusion efforts in partnership with the Office of University Diversity and Inclusivity. A native of north Philadelphia, Dr. Patton is a first-generation college graduate with more than 15 years of experience as a higher education administrator. Prior to Cal Poly, he served as the Assistant Dean of Students for Ohio University, where he directed the Parent and Family Program, co-initiated programming to increase graduation and retention rates among African-American male students, and implemented social justice development workshops for Student Affairs staff. Dr. Patton found his passion for a career in Student Affairs at Lock Haven University in Pennsylvania, where he held student leadership roles as Vice President of the Student Cooperative Council, President of the Black Student Union and founder of the Distinguished Gentlemen. He later served in several positions during a nine-year period at Northern Arizona University, including Director of the Student Learning Centers and Director of Inclusion and Multicultural Services. Dr. Patton earned his Bachelor of Arts degree at Lock Haven University, as well as his Master of Education and Doctor of Education degrees at Northern Arizona University. He resides with his wife Elisa and their two daughters in San Luis Obispo. Tina Hadaway-Mellis serves as Assistant Vice President for Student Affairs Health and Wellbeing. 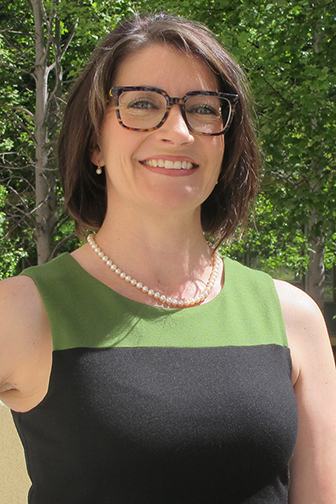 She joined Cal Poly in June of 2018 and is responsible for leading all aspects of student health and wellbeing, including medical services, counseling services, health education and campus wellbeing. 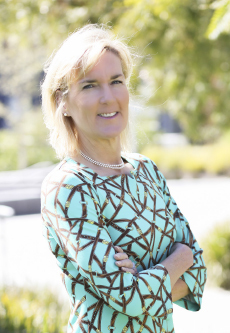 Additionally, Tina is responsible for developing funding and entrepreneurial partnerships with on- and off-campus entities, including private providers, to enhance health and wellbeing at Cal Poly. Tina has more than 20 years of experience in healthcare, including more than a decade as a healthcare professional for a variety of hospitals, medical centers and surgery centers in northern California. In 2006, she transitioned into a health administration role for Sequoia Surgical Pavilion in Walnut Creek. 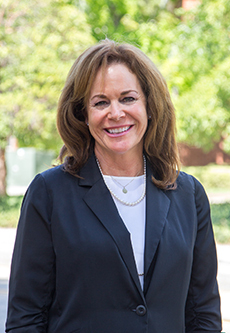 Prior to her arrival at Cal Poly, she spent four years serving as the clinical services director for the UC Berkeley, where she was responsible for managing the department’s strategic development, fiscal performance, operational oversight and organizational planning, among other duties. In addition, Tina has served as a surveyor for the Accreditation Association for Ambulatory Health Care since 2009. Tina earned her Bachelor of Science degree in Nursing at Saint Mary’s College. She also earned a Master of Business Administration, with an emphasis in health care administration, from the University of Phoenix. She also holds licenses and credentials as a registered nurse and surveyor for the Accreditation Association for Ambulatory Healthcare. In her spare time, Tina enjoys hiking, photography, travel and spending time with her husband, Foti, and beagle, Beauregard. 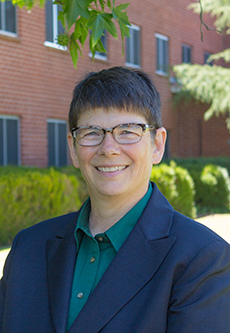 Marcy Maloney joined Cal Poly’s Associated Students, Incorporated (ASI) in 1988 and was subsequently promoted to assistant director, associate director and director of Recreational Sports in 1999. From 2004 to 2012, Marcy served as the director of ASI Programs with direct oversight of the University Union, Recreational Center and Cal Poly Sports Complex. In conjunction with ASI’s management team, she participated in the organization’s strategic planning and was integral in the completion of the $72 million Recreational Center expansion project. In 2013, Marcy was appointed interim executive director of ASI and was later that year awarded the position of executive director. In this position, she is responsible for the overall strategic management of the organization, programs and facilities. She works closely with the ASI Board of Directors on matters relating to policies affecting students and focuses her energy on developing students through leadership, empowerment and staff employment..
Marcy obtained a bachelor’s degree in recreation administration and a master’s degree in education from Cal Poly. She has been honored several times for her outstanding service to the university over the years and has been featured as the keynote speaker at campus events and conferences. Marcy has extensive training as a life coach and recently graduated from the CTI Executive Leadership Program. Don joined Cal Poly in 2011 as the director for Cal Poly Athletics. In this leadership role, Don supports hundreds of student-athletes in obtaining their academic and athletic achievements. 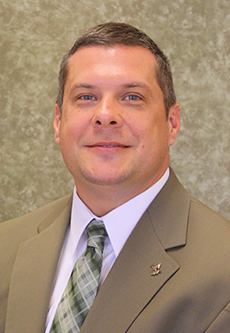 He manages a large group of athletic and administrative staff by providing strategic leadership in the areas of athletic compliance, academic services, advancement, sports information, sports marketing and communications, ticketing, athletics medicine, strength and conditioning, event management and Mustang Sports Properties. Don brings more than 20 years of experiences to the Cal Poly Athletics program. Prior to Cal Poly, he served as the chief operating officer and senior associate athletics director at San Diego State University. Don has served in a number of NCAA and conference leadership roles, including The NCAA Division I Council. The 40-member council is charged with managing the new governance structure, the many changes taking place in college athletics, and the day-to-day decision making for all of Division I. In April 2015, he was appointed by the NCAA to chair the newly formed NCAA Division I Legislative Committee to review legislation and communicate positions to the Division I Council. Don has served on many working groups for the NCAA, currently serving in a review of the future of amateurism within the collegiate model. 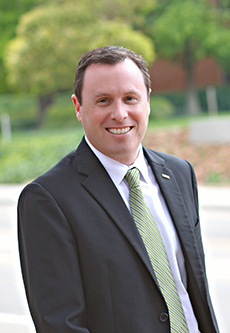 He is a current member of the Executive Committee for the Big West Conference. Don also serves on the Board of Directors for the Hearst Cancer Center, as well as the board of the American Heart Association. Prior to his tenure at San Diego State, Don served several roles at Southern Mississippi, most recently as the senior associate athletic director (2002-2007), education coordinator for athletics at Texas A&M (1998-2002), and as a compliance assistant at Florida State University (1995-1998). The native of rural Kansas, Don earned his bachelor’s degree in business administration at Kansas State and his master’s degree in athletic administration at Florida State. He resides with his wife D.D. in Avila Beach. Joette Eisengart has served the division since 1995, first as Executive Associate to the Vice President for Student Affairs, and more recently, as Director of Operations for the division. In the summer of 2017, she was promoted to Senior Director of Operations. Eisengart began her career at Cal Poly in 1988 as office manager in the Vice President for Information Systems office and later the College of Agriculture, Food and Environmental Sciences, where she managed the college’s budgets and a variety of financial and programmatic projects in her role as Assistant to the Dean. In her current role with Student Affairs, Eisengart serves as the senior financial officer for the division, working closely with directors and analyst staff to plan and manage their budgets. She works as the senior human resources officer for the division by providing direction and resolving complex administrative issues and is the principal advisor to senior management on policies related to personnel matters. In addition, she oversees the Information Technology, Marketing and Communications, and Assessment and Research departments for the division. Finally, Eisengart manages the division’s operations by serving as the primary liaison to the President’s office and other key campus departments on campus. In 2006, Joette was awarded the Division of Student Affairs’ Chandler Award for Outstanding Service and was recognized by the Disability Resource Center for outstanding fiscal and resource planning support. In 2014, she was nominated as one of the university’s Outstanding Staff members. Joette currently lives in Shell Beach with her husband, Bruce, and enjoys spending time with her children and grandchildren. She has a passion for movies and filmmaking, and since 2008 has enjoyed actively serving as a director on the San Luis Obispo International Film Festival board. 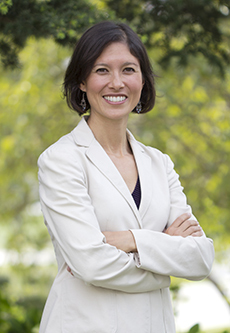 Yukie Murphy joined Student Affairs in 2014 as the director of marketing and communications. In 2017, she advanced to her current position as the Director of Educational Research and Communications. In this position, she plays a strategic role in leading the research, assessment and communications priorities and initiatives for Student Affairs and has a working relationship with campus and community partners to foster collaboration in strengthening the Cal Poly brand message. She works closely with the many departments and programs within Student Affairs to help create new ways to advance the organization as a data-informed culture focused on supporting students through graduation and beyond. Yukie brings over a decade of comprehensive experience in marketing, brand management, and community development programs. She has built multi-million dollar marketing departments for industry leading companies and has opened several new markets across the country. She has outstanding experience in building and managing teams, fostering collaborations, creating strategic initiatives and communications campaigns. Yukie has a bachelor’s of science degree from Cal Poly and lives in San Luis Obispo with her husband, Chris. She is passionate about supporting Cal Poly students and is actively involved in several local community efforts.